If you’re a new witchling or you just want to know more about this whole witchcraft/ magical practice thing, then start here. If you’re looking to start out on a new path of witchcraft or other spiritual practice, then you need a good foundation. Unfortunately, there’s so much to learn and there’s so many places to start. The first thing a witch or any magical practitioner needs to know is that your practice isn’t any better or worse than anyone else’s. Are you being fulfilled in some sort of way? Then congrats! Your practice is working for you. There’s many different traditions, styles, and beliefs out there. Far too many to list and far too many to go through in a single blog. Some paths will require you to be initiated and some others will expect serious academic study. Others will ban certain kinds of spells and some others will be closed to anyone outside of a particular culture. Not every path will be right for you and not everyone will have beliefs that mesh with yours. That’s OK. Just because your truth and reality doesn’t match someone else’s doesn’t mean yours (or theirs!) is less valid. It’s just different. You are never too old, too young, or too anything to start a magical practice. You can be as serious or as casual about it as you want. It’s up to you! This is a collection of 101 posts or explanatory posts that can help you on your way. This section is ever growing so check back often! Where to Start – A great starting place for anyone looking to get into paganism, witchcraft, the occult, or magic in general. 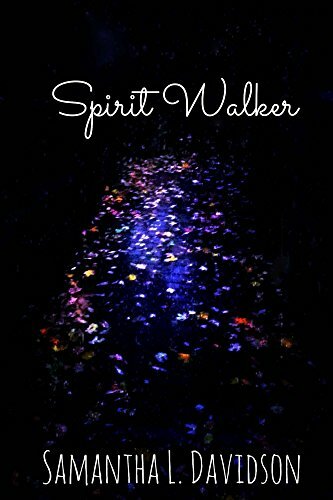 Getting Back to Your Spiritual Roots – Geared towards people returning to their spiritual foundations but it can also be a useful read for new witches. How To Get Started on a New Path – Whether you’re new to witchcraft or you’re just thinking about starting a new direction in your spiritual practice, it can be tough to get started. Here’s some tips. How to Design Your Own Spiritual Calendar – The Wheel of the Year is really popular but it’s not a universal calendar for all pagans everywhere. You can create your own calendar to reflect your own spirituality and religion. Secular Witchcraft Defined – Secular witchcraft is a rising movement in witchcraft but it’s not an easily understood one. It’s the separation of religion and witchcraft rather than an absence of religion. Witchcraft Checklist – A checklist for witches and magical practitioners to make sure you’re ready for the new year. Witchcraft and New Age Shops – A post discussing new age and witchcraft shops and the spells they may use to entice shoppers. Astral Travel 101 – A beginner’s guide to astral travel. Dream Magic 101 – Some basic information on dreams, magic, and astral travel. Everyday Meditation for People Who Can’t Stay Still – A simple stretching and meditation technique for people who have restless minds or restless bodies. An Exercise to Meditate or Astral Travel – A simple exercise that can be used for meditation or be used as a leaping point for astral travel. How to Tell if You’re Cursed – A simple explanation on how to tell if you’re cursed, including symptoms. The Myth of Buying Your First Tarot Cards – A breakdown on the myth and belief that you shouldn’t buy your own first tarot cards and why it probably doesn’t matter. On Target Specific Love Spells – A discussion on the ethics of love spells cast on a specific person or target. Ouija Boards 101 or “Are Ouija Boards Dangerous?” – A 101 rundown on what ouija boards are and if they’re dangerous. Herbs, Plants, and Why They Have Their Associations – A discussion on whether intent is all you need for herbal inclusions in spells or if herbs and plants have their own powers and why those associations may or may not matter. Sea Salt! Why Salt Scrubs Needs More (Witchy) Love – A long list of mundane and witchy tips about sea salt. Braided Cord – Knot spells are a basic magic technique. Braided cords and witch ladders are found in historical digs. This is a basic how to. How to Make A Poppet – A step by step picture filled guide on how to make a poppet. How to Make A Poppet House – A way to create a poppet house. How to Write A Money Spell – A step by step guide on how to write a money spell. Witches, Jars, and Burying ‘Em – A discussion of what to consider when you’re planning on doing a spell involving a jar (jar spells). Want to have a more directed path before you? Consider one of my online courses. If you have any questions, send an email and ask away! I’m always willing to help out the willing and the curious.